Bee advocates like to say that bees are responsible for one in every three bites of food we eat. Still in decline from colony collapse disorder, bees are further threatened by the agricultural pesticide clothianidin. The pesticide, made by German agro-chemical giant Bayer, has been identified as one of "multiple, interacting causes at play in colony collapse disorder," and immune system damage is a key factor, according to the Pesticide Action Network of North America (PANNA). The May 2011 Journal of Invertebrate Pathology reports that the pathogen Nosema ceranae is present in seven out of 10 bees in U.S. hives, but that fewer than half of infected bees die from the parasite. Mortality occurs when the infected bees are exposed to sublethal doses of neonicotinoid pesticides, such as the ubiquitous clothianidin. 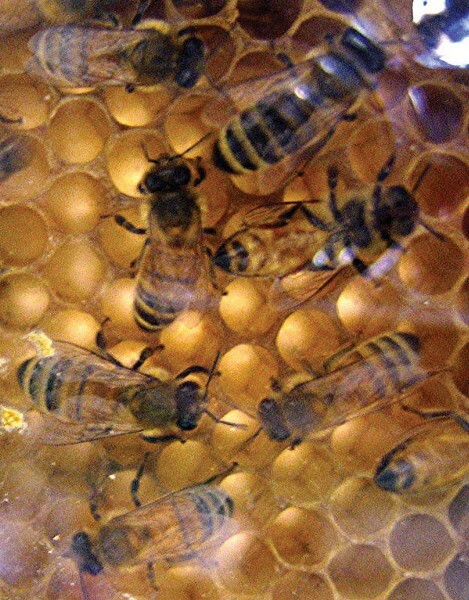 Bee colonies in the U.S. declined by more than one-third last year. The Environmental Protection Agency, charged with removing from the marketplace any chemical that poses a threat to health or nature, has the opportunity this week to rule against clothianidin—but it may not. If the EPA takes no action this week, clothianidin may not come up for review again until 2018. In that time, says PANNA, the chemical may do incalculable damage to bees. Public input is needed. Paul Towers, media director of PANNA, tells the Bohemian that the body of scientific evidence suggests that clothianidin poses a significant threat to bees, and the EPA should have banned it by now. "Under the federal pesticide act, anything that poses an imminent harm to health or to the environment must be pulled from circulation by regulators," explains Powers. But the EPA has not taken action to remove clothianidin, because, Powers says, "Bayer has distorted the science. The Bayer lobbyists are pressing for approval of chemicals that cause colony collapse disorder." In February, PANNA and the Center for Food along with 30 beekeepers filed a legal petition to the EPA urging it to act. The agency still has not acted. "Now," says Powers, "it's up to everyday folks to put pressure on the EPA to cut through corporate misinformation—folks like you and me who want to continue to eat almonds and apples and other delicious food." The Sonoma County Beekeepers Association says 556 bees visited 2 million flowers to make that pound of honey in your kitchen. Bees have been here 30 million years. Will the EPA, under pressure from Bayer, wipe out all of that sweetness and evolution for fear and greed, respectively?